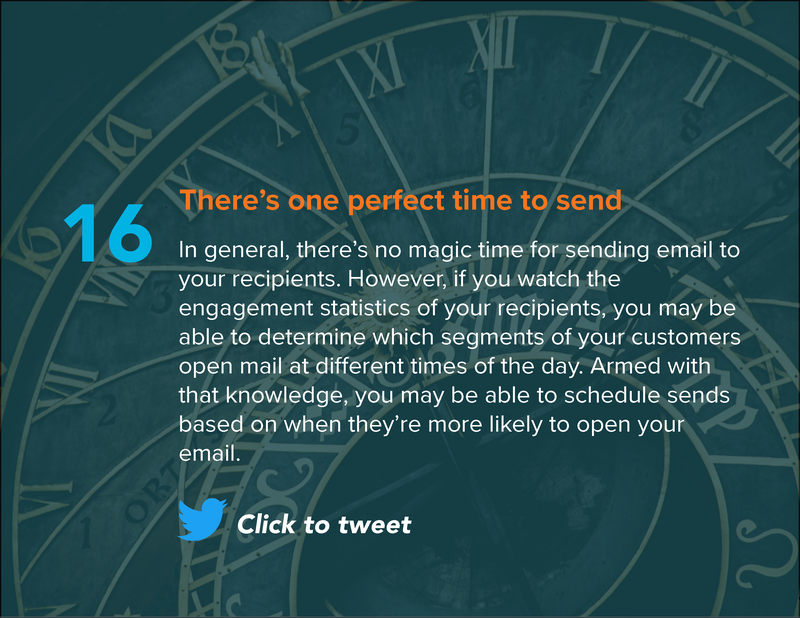 Email marketing is changing. As more and more senders fight for recipients' dwindling attention, many marketers are watching their engagement rates steadily decrease, even as they use tactics that worked well a year or two ago. 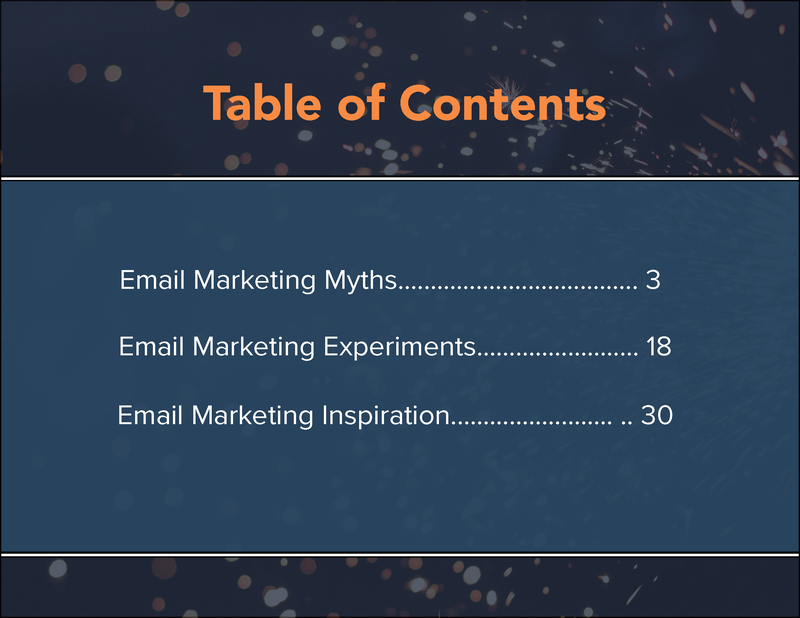 The truth is, "conventional wisdom" and conventional tactics are making it easy for email marketing to get stale. 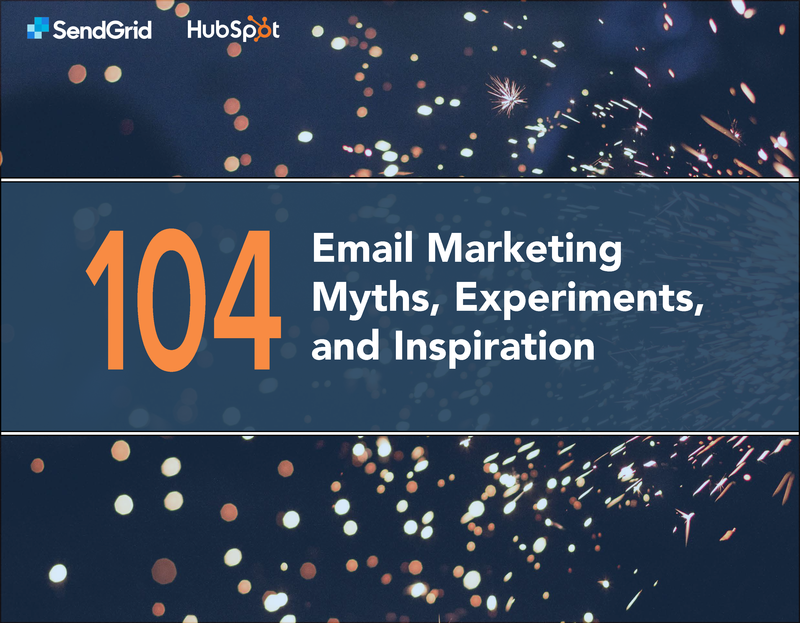 Whether you're new to email marketing or have been at it for years, you may be operating under certain common assumptions about email that have been proven to be untrue. 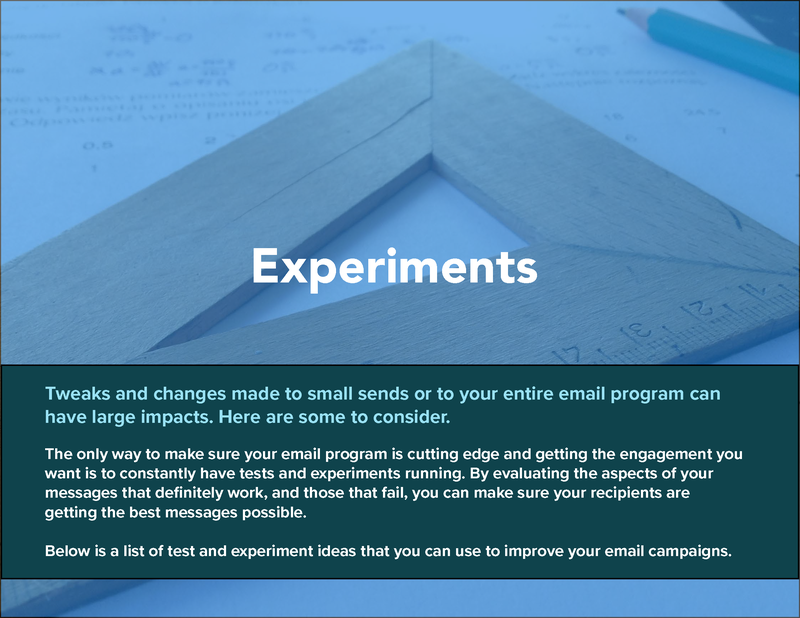 Even worse, your email may be going stale due to a lack of experimentation or inspiration. 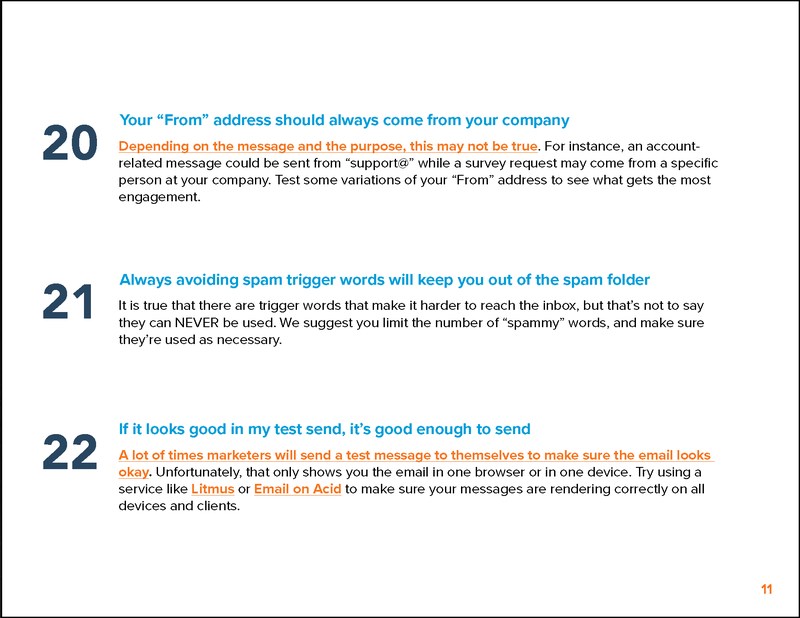 Even if you know that it's time to switch up your email marketing, it can be tough to know where to start. 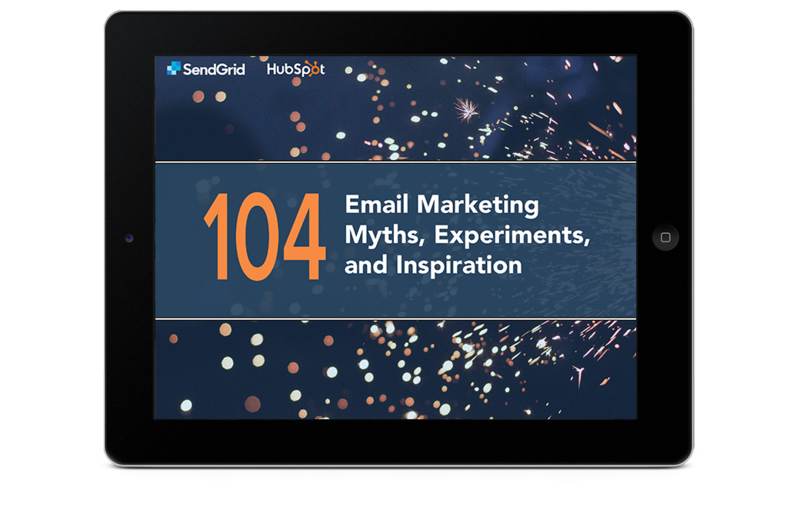 That's where HubSpot and SendGrid come in - we've teamed up to get you started on refining your email program. 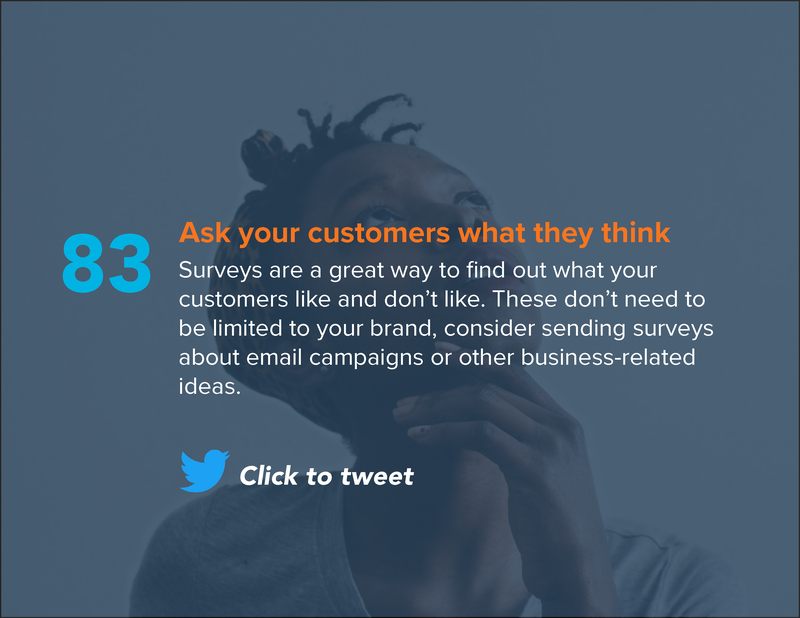 We put together a guide with over 100 data-backed, expert-recommended tips on how to avoid common misconceptions, evaluate what works for your recipients, and bring new inspiration to your email program. Scroll down to see a preview of what you'll learn.